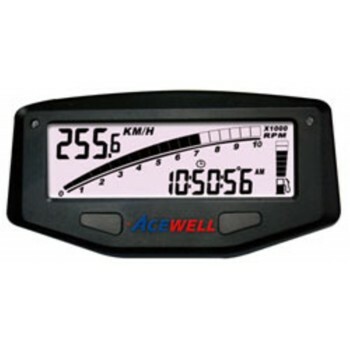 Acewell Ace 1550 digital speedometer, tachometer, temp, volts, fuel & hours meter. All units come with full instructions & wiring diagram. 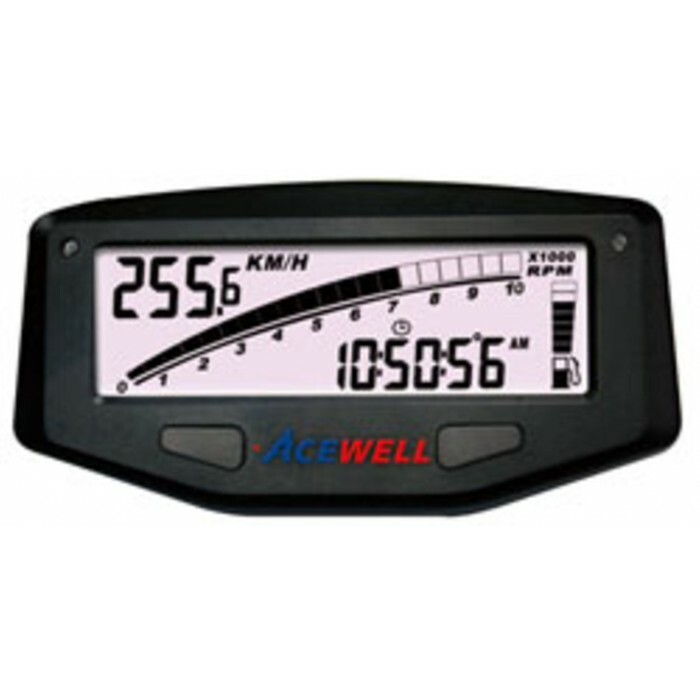 The Ace 1550 is a comprehensive dash in a slim rectangular modern & attractive case. Speedo rev counter, temp gauge, fuel gauge, volt meter, clock & hours meter. Unit supplied will be BLACK not silver as pictured.